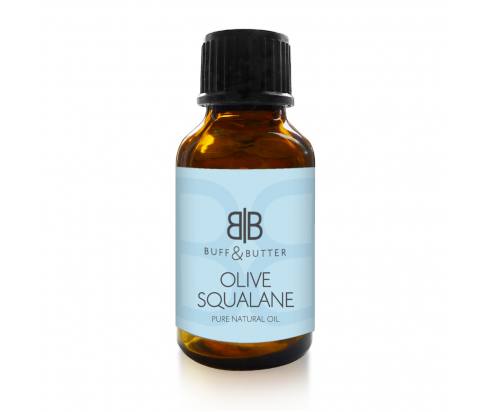 Olive Squalane Oil offers and endless amount of benefits, especially when it comes to the skin and hair. Squalane, a naturally occurring lipid, helps to promote new cell growth which is effective in keeping the skin soft and youthful, as well as healing damaged skin. The oil can be used to effectively hydrate even the driest skin and soothe eczema, psoriasis, burns, and more. Olive Squalane Oil can also be added to shampoos and other hair care products for healthy scalp and hair. Add it to creams and lotions to reduce the appearance of fine lines and wrinkles, or use it as a base for massage oil for an effective massage and soft skin with improved elasticity. You may also wish to mix with essential oils to enhance their benefits so that you get the most out of your blends.